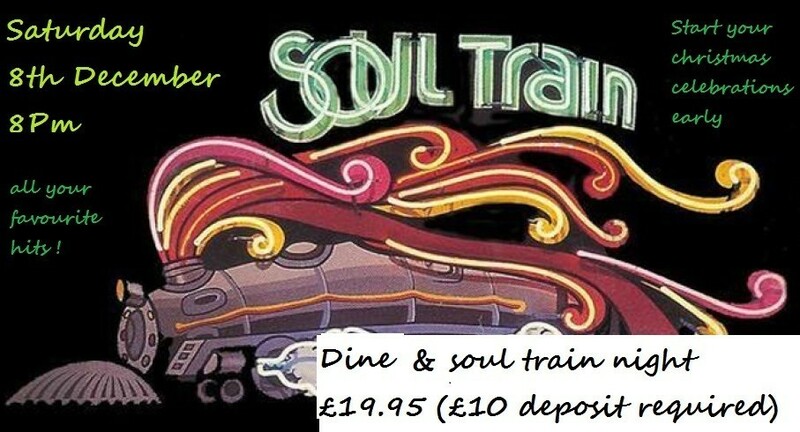 Join us for our ever popular Steak night as the soul train rolls in to the corer pin station . 3 courses for only £19.99 and wonderful live music. Booking is essential as we always sell out !